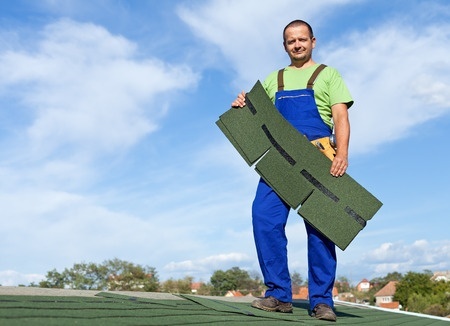 Is It Time For You To Get A Roof This Summer? Now that the summer season is in full swing, it’s a great time to get a new roof. If your roof is showing some telling signs of wear, is flaking, or is just past its prime, there are many great roofing options that you can choose from. A new roof can help you freshen up the look of your home or business, and will provide it with a reinvigorated appearance! Best of all, each type of roof that you can select for your home has its own set of benefits, so you can find one that best suits your needs. Is it time for you to get a new roof? In this article, we’re going to look at some of the different types of roofs that you can get this summer. -A slate roof is a 100% natural, green option. They have a great amount of longevity, require very little maintenance, and are also fire-proof. –Dillon Bros. Roofing has a wide variety of great flat roofing options available. From the classic 2 ply modified bitumen, to the more advanced single ply TPO and EPDM systems that can be fully adhered or mechanically fastened, you can click here to see their diverse selection of flat roofs. -If you’re looking to add an elegant, regal look to your home or business, you should consider getting a metal roof. Dillon Bros. Roofing offers many popular metal roofing options, including steel tile, Buchner aluminum, and custom copper. If you’re looking for a reputable family-run business that continually pleases their customers in the Toronto, York, and Durham regions, check out Dillon Bros. Roofing. For over 15 years, this highly praised company has continually satisfied their clients with their superior roofing expertise. These expertly trained contractors can provide you with a wide variety of roofing services, such as eavestrough cleaning, shingles and skylight installation, gutter clean system installation, aluminum and vinyl siding, snow removal, and much more. They are a highly praised roofing repair company! If you have any roof-related inquiries, or if you want a free estimate, check out their website at dillonbrosroofing.ca. This entry was posted in Roofing, Roofing Advice and tagged Bitumen, Metal Roof, Roofing Materials, slate roof, summer roof installation, Types of Roofs. Bookmark the permalink.